June, 2018 on Infertility & Surrogacy. Struggles with my mental health have infiltrated my life for many years and through it all I have always somehow been able to fight my way back to happiness and a sense of peace. Issues with self-worth, high conflict relationships and past traumatic experiences have contributed to my struggles and if anything should have pushed me down to a point of not being able to get up it should have been my journey through infertility. Somehow, someway, I met every obstacle, every negative pregnancy test and every less than ideal blood test or ultrasound with strength and perseverance. It was difficult there is no doubt but it never ended up pulling me down to the depths of despair and crippling sadness. There were many tears, many times I wondered, “Why me?” and questioned my path but I kept going because I knew in my heart I was meant to be a mother. The road to share the birth story of Savannah Evelyn Hope Franks has not been an easy road or a short journey. It has been filled with a rollercoaster ride over a 4 year period that I wouldn’t wish on anyone but I would share that the long and winding road was not only more than worth the ride it was required and of great value to my mind and my heart. The path of fertility treatments is filled with uncertainty and if you take the path there are no guarantees except one – you will never take for granted the child that comes earth side for the mountain was high and the love so deep. I had dreamt of my birth experience from the first moment I witnessed a birth as a doula over 16 years prior to my own birth experience. I would walk away from each and every birth I attended in awe of the strength of each and every woman I had the honor of supporting through the process. I would envision what it may be like to hold a child in my arms for the first time. I would replay the choices that were laid out before each client and play out in my mind what choices I would make if I had the opportunity. I would see a picture in my mind and although I knew the picture doesn’t always play out the way you think it would I could hope. 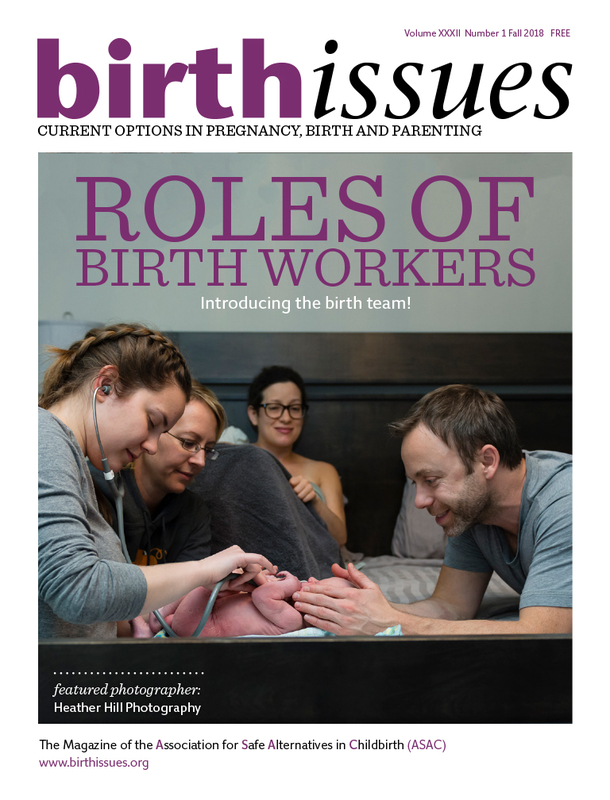 Throughout each of the nine fertility treatments I held on to the hope of being able to experience what I was privileged to share with over 250+ clients for the 16 years of being a doula. It was not just about having a baby it was about experiencing birth that mattered to me. Birth is a profound experience and I wanted it, I desired it and I needed it. In May, 2014, the only other pregnancy I was to ever experience ended in miscarriage of twins. It was the first time that I felt the energy of gentle souls within me and for those few short weeks I was beyond excited. My HCG levels indicated twins but shortly after the confirmation of pregnancy I lost Twin A. My husband was away on business and as the process began the fear I felt was beyond anything I had ever experienced before. An ultrasound shortly after the indication of issues showed that I still had one fetus growing within me. The relief was short lived when alone on the early Saturday morning of the long weekend in May I held my tiny being in my hands, prayed for my babies and sobbed uncontrollably. The sounds of my cries echoed in the walls of my home and my body shook. The grief that overcame my heart was beyond what I could comprehend. Although devastating that experience gave me hope that my body at the very least could actually be pregnant because it never had before. That hope propelled me forward to want to try again. Cautiously and with great trepidation we proceeded months later. My husband and I had one final attempt of a frozen embryo transfer after the miscarriage which took place on September 25, 2014, just four weeks after we moved into our new home and four months after my miscarriage. It seemed like a hectic time to take on our ninth treatment but we were now moved into our, “Buy it and baby will come,” house. It was a new start and the park across the road that I fell in love with the moment we saw it seemed to just tell us that this is where we would start our family. The day of our transfer was filled with so much hope and love. The Doctor we had been assigned to, and spent countless hours with discussing test results, statistics and fertility plans, was to do our transfer. He had not been the procedure doctor for any other of our treatments and this was another sign for Mark and I. He greeted us with so much love, support and hope that day. When Mark and I left the clinic we could not stop smiling. We felt the energy of our baby – our little girl. The Friday of Thanksgiving weekend was the day of my blood test. I knew I would be getting a call from the nurse at the Calgary Regional Fertility Clinic on Saturday and was nervous all night. When the call came I was shaking. The nurse told me that I was indeed pregnant but the HCG numbers were quite low which could indicate that I would be miscarrying soon. I asked if there was any hope and I remember she told me, “Shari, there is always hope.” I held on to that so strongly. I sat at the top of our stairs and called Mark. He looked up and I told him the news. He had a smile on his face and so much love in his eyes. There was a sense of calm about him but I was scared and shaking. I prayed a lot and asked the universe to please allow Mark and I the honor to be parents. Many blood tests later, a bleeding scare when Mark was away on a business trip and my mom camped out on our couch all night, finally an ultrasound at seven weeks confirmed that we had one strong little fighter with a very strong heartbeat that held on with all her might. Our sweet girl was stubborn and strong from the very beginning and our Doctor mentioned how low HCG numbers do not often result in a healthy pregnancy but this time it did. My pregnancy up until approximate 20 weeks was pretty easy-going overall. I experienced nausea up until 14 weeks and although I felt terrible I took solace in the knowledge that my body was pregnant. I was blessed to have the time for self care along with an amazing husband that would pick up any food that sounded like it would settle in my stomach and not pressure me to get off the couch or out of bed if that is what my body needed. My parents’ excitement was infectious as they endured the roller coaster with Mark and I along our journey. My mom was present for any appointment Mark could not attend and held my hand or rubbed my back if I needed it. They never gave up hope or told Mark and I to stop trying to have a child. They knew our desire to become parents was not one that we took lightly and we would be really great parents. They respected our choices and stood by us through every single fertility test, medication and pregnancy test, positive or negative. We are blessed. My third trimester was trying. I was diagnosed with Gestational Diabetes. I was able to control my glucose levels with the combinations of food that I ate and included light exercise. I was adamant that I would not be diagnosed insulin dependent. The weight that I put on with each combination of fertility treatment medications took its toll not only on my physical but my mental state as well. I had started the journey the healthiest I had ever been but when you compound various hormone and medication protocols in a short period of time my body never really had a chance to adjust. Mark and I were told early on that due to our ages we did not have time to waste so we were conscious that the treatments would be back-to-back and would be pushing my body into a place it had never been before. Unfortunately one of those places was gestational diabetes and as my pregnancy progressed hypertension (high blood pressure) and eventually preeclampsia. These obstacles were the bumps in the road that changed my birth plans with a vengeance. My initial postpartum period overall was quite joyous and I felt I had a good handle on the life changes going on around me along with my new role as a mother. Upon my research prior to and in pregnancy I made sure that I would arm myself with all resources I could so that I would not have to go through a battle with mental health. I did not want to sacrifice bonding and attachment with my child in the early postpartum days due to mental health issues if I could help it. I knew statistically I was at risk to suffer. With postpartum support from my mother, breastfeeding support from my doula and breastfeeding counselor and hiring the services of a placenta encapsulation specialist I armed myself. Although my early weeks and months after the birth of my daughter were somewhat smooth it was around the time of my daughter’s first birthday that I began to experience an upheaval in my mental health. It was difficult to accept but more difficult to talk about. I had been somewhat transparent throughout my past struggles in order to ensure I was not falling victim to fear of stigma but the fear of judgment on me as a parent from others was incredibly high at this point. I had everything I had ever wanted and I was grateful but I was also suffering. I was suffering alone for the most part because when I did share I was met with lack of understanding and authentic support. I was functioning and my daughter was thriving but I knew I was not well. I did not fall in to the typical period of time for post partum depression and/or anxiety and therefore I believe this is why I questioned what I was going through. Although my birth perhaps was not considered traumatic it was not the birth I had ultimately hoped for which contributed greatly to my downward spiral. With incredible support from a professional therapist I understood I was not alone and with that acceptance I began a path of healing. Parenting has come with a whole new combination of struggles with mental health. The sleep deprivation that all mother’s experience along with the pressures I put on myself to do all the right things for my daughter have contributed greatly to the roller coaster of depression and anxiety. Any mother that has undergone the experience of infertility has compounded pressure on themselves and perhaps from others as well to do parenting ‘right.’ The ‘right’ way to parent is very personal, I feel, and I have become more secure in the choices I make for my daughter as time has gone on. I know and I believe with my whole heart I am a good parent. I am not a perfect parent but I am a parent that ensures my child is my priority and well taken care of. She has my heart and my sweet girl will always know she is loved and cherished. She will always know her story of how she came to be. The details are her story to tell. Infertility changed me and it took some time to truly acknowledge, accept and appreciate that. It gave me some great gifts and as odd as it sounds I am grateful for it. I have lost relationships along with perhaps some innocence of how the world works but I have gained so much more. I was often asked how I was continuing to pursue the treatments that my husband and I were undergoing and my answer was simply, “Because if I give up now I feel like I am giving up on my child and I will never give up on the child that is meant to come my way.” I learned that acceptance of my circumstances were far different than giving up and with strength, determination and a whole lot of hope my battle was filled with great love. My soul has remained intact; perhaps a bit shaken but stronger than ever. 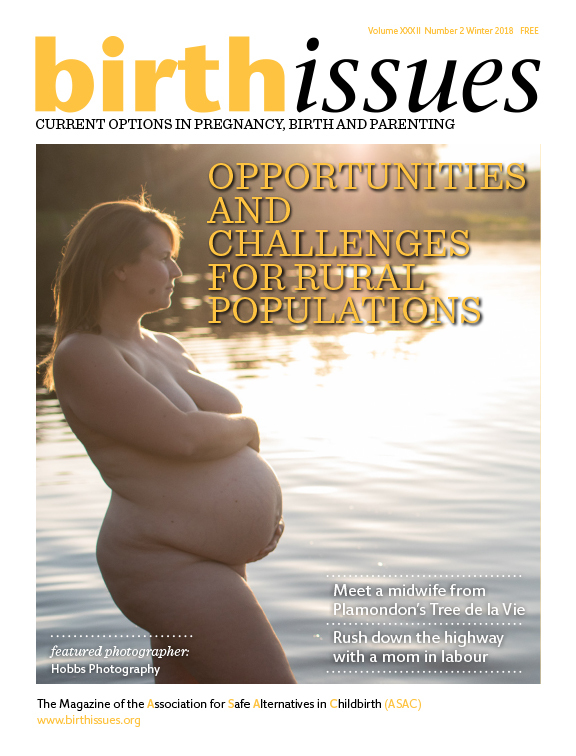 Shari Franks has been a member of Alberta’s birth community since 1998 in various capacities. She is a dedicated and proud stay-at-home mama to an amazing miracle daughter, Savannah and partner for life to Mark. She is forever a mental health advocate and infertility warrior.